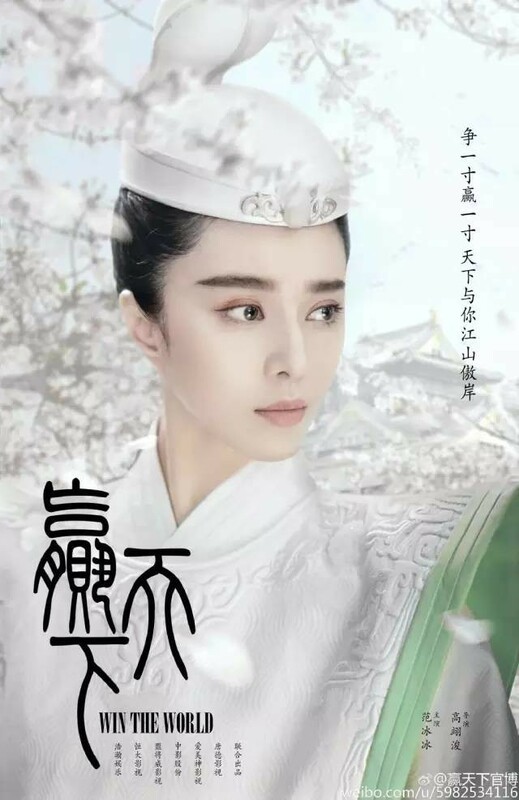 The drama will chronicle the life of Ba Qing, the wealthiest woman of the Qin Dynasty. She is known to have provided mercury for the first Emperor of China’s mausoleum, and also funded construction works for the Great Wall. Gao Yunxiang (Legend of Mi Yue) will play Ying Zheng, the man that unified China. Yan Yikuan (Ice Fantasy) will play Ji Dan, Crown Prince of Yan. Ba Qing was respected by many because she never remarried after her husband’s death, though strangely enough, there was no mention of the character at the press conference. Costars include Angela Pan(! ), Ma Su (Suddenly Seventeen), Lin Peng (Time Raiders), Xu Fan (The Assassin) and Tian Li (The Princess Weiyoung) among others. Is it too much to hope for something better than the travesty that is the Empress of China? This entry was posted in Drama, Mainland China and tagged Fan Bingbing, Gao Yunxiang, Win the World, Yan Yikuan by XDramasX. Bookmark the permalink. How can anyone not see through this as another attempt by FBB at glorifying her beauty and becoming the symbol of female empowerment? Perhaps she has good intentions when trying to play these powerful women of the past but the way she goes about doing it really dampens the genuineness of the act. You can bet more thought and money will be put into her makeup and costumes than the script and plot itself, just like in the Empress of China. Another drama I’ll be sure to miss. FBB’s mom had a constant habit of switching channels. When asked why, she told her daughter that only programs with pretty people kept her attention. This is the root of FBB’s obsession with hiring beautiful people in her productions, although this preoccupation with surface beauty is quite widespread. Tang Yan, Ruby Lin also tend to like to produce dramas that are not that different from these. It always comes across like a juvenile fantasy. And distasteful to watch. The huge number of such dramas is actually what is amazing about them. Given that Yang Mi and others also produce similar cups of tea.